Growthpoint Properties today announced its largest industrial land deal to date. It is acquiring a fully-serviced 43 hectare site in Samrand, equal in size to 86 rugby fields, from the Cavaleros Group. 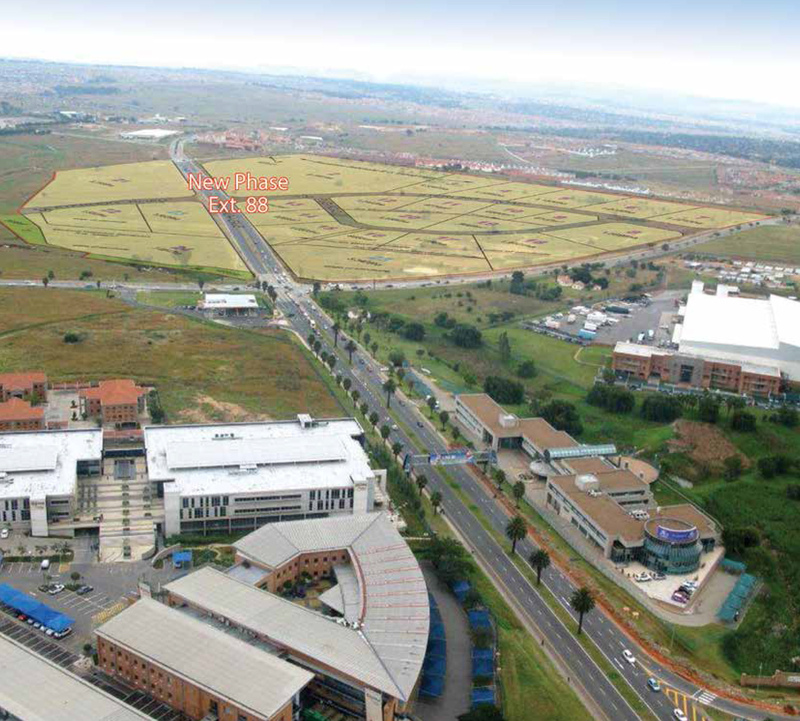 Cavaleros will be Growthpoint’s development partner for this prime land, which has an ultimate development potential of R2 billion in today’s terms. The land, superbly situated between Johannesburg and Pretoria, has a colourful history and was previously owned by Malaysian banker, Dato Samsudin Abu Hassan who, it is said, was once considered the biggest individual investor in South Africa, before it was scooped up by Cavaleros. Thanks to the Growthpoint and Cavaleros partnership, it will be developed with tailor-made turnkey commercial and industrial solutions with a flexible mix of ownership options available for this excellently positioned ready-to-develop high-demand land. Growthpoint Properties Industrial Division Director, Engelbert Binedell says: “Samrand offers all the key ingredients of a prime node, specifically good location, ease of access and electricity supply. The site is located on Samrand Avenue, one block from the N1 highway’s Samrand off-ramp, between Centurion and Waterfall, providing excellent motorway access and good visibility. It also enjoys alternative access from Rooihuiskraal Road. It is near to both the future site of the Gautrain Station in Samrand and growing residential development. The ready-to-develop land will provide excellent commercial and industrial premises for users of all types and sizes from giant logistics warehouses to high-tech users, business parks and smaller units. Growthpoint Properties Limited is a leading South African REIT and a JSE ALSI Top 40 Index company. It owns and manages a diversified portfolio of 434 directly owned properties in South Africa, 51 properties in Australia through its investment in GOZ, and a 50% interest in the properties at V&A Waterfront, Cape Town. It also has investments in the REITs Acucap Properties (34.7%) and Sycom (15%). Growthpoint’s consolidated property assets are valued at R76,2 billion. The Cavaleros Group develops and invests in commercial, industrial, hotel and retail property throughout South Africa. Included in the portfolio of assets are prime properties such as The Hilton Hotel and The Maslow Hotel in Sandton, Norwood Mall in Johannesburg, Village View Shopping Centre in Bedfordview, the Pick ‘n Pay Distribution Centre in Cape Town, and houses a host of multi-national blue-chip companies.